In a large bowl, mix oil, honey, soy, pepper, and garlic powder. Reserve 1/4 cup. 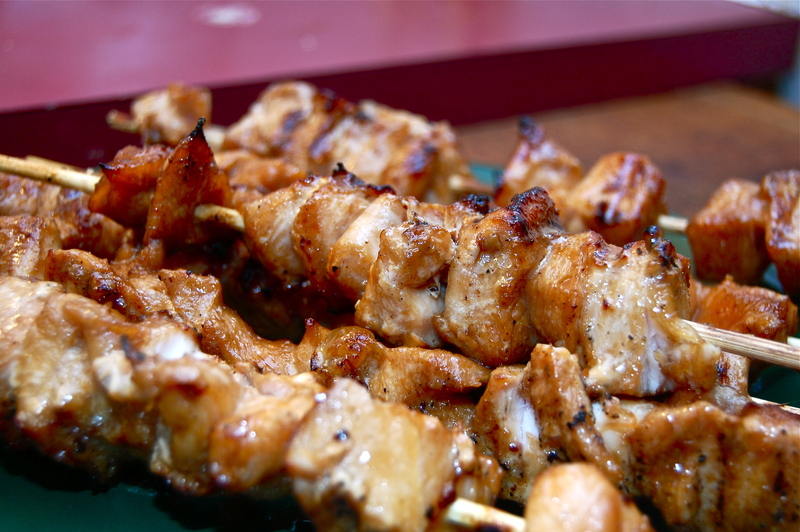 Add cut up chicken and marinate in refrigerator for at least 30 minutes….but the longer the better! 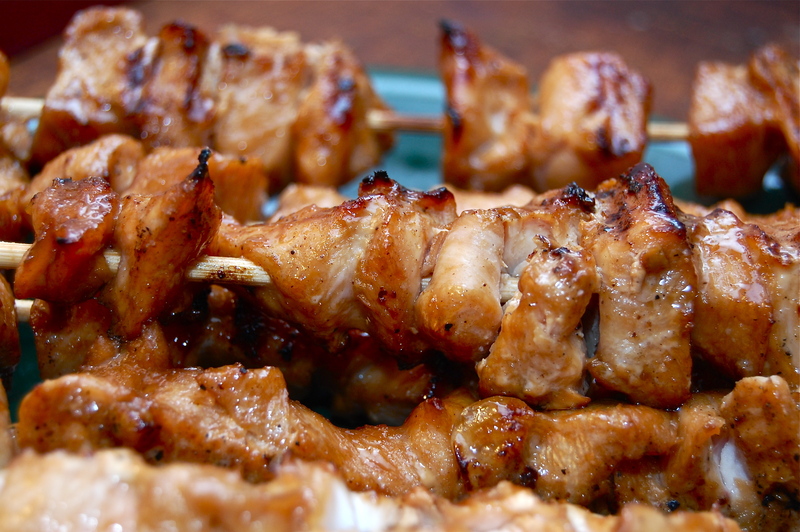 When ready to grill, skewer the chicken and cook for 12-15 minutes. Baste the chicken with the reserved marinade. Next time I’m going to double everything and make more! These were so good….. and Mike even had some of the leftovers today, cold, and he said it was just as good today. I’d also like to skewer some veggies next time too. Maybe some pearl onions and mushrooms and a bell pepper. Yeah…that’s what I’m gonna do……. Might have to try that one!